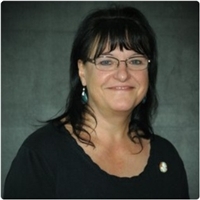 Char has been executive assistant to the team at Financial Freedom Group for 18 years. Our clients love Char. She prides herself in providing expedient customer service and being the “friendly voice on the other end of the phone”. She treats our clients with genuine care and gives them the type of personable service that today’s technology-driven businesses sometimes lack. Char and her husband, Scott, enjoy camping, fishing, and spending time with their 4 daughters and 6 grandchildren. Charlene is not registered with SagePoint Financial, Inc.